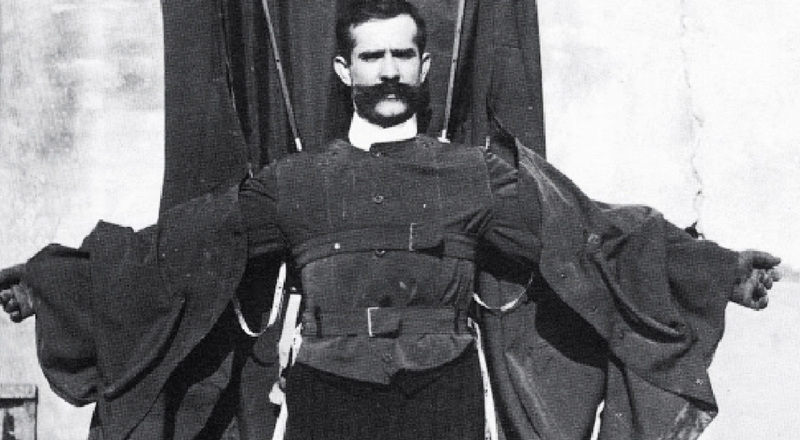 Franz Reichelt (1879 – February 4, 1912) was an Austrian-born French tailor, inventor and parachuting pioneer, now sometimes referred to as the Flying Tailor, who is remembered for jumping to his death from the Eiffel Tower while testing a wearable parachute of his own design. Reichelt had become fixated on developing a suit for aviators that would convert into a parachute and allow them to survive a fall should they be forced to leave their aircraft. Initial experiments conducted with dummies dropped from the fifth floor of his apartment building had been successful, but he was unable to replicate those early successes with any of his subsequent designs.